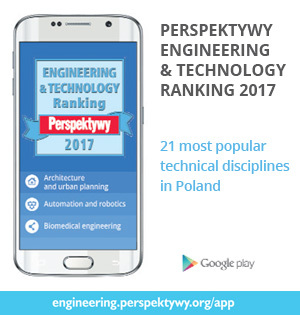 Ranking of Engineering Studies Perspektywy 2017 presents best engineering universities in Poland that bestow the titles of engineer and master of science in engineering. 21 most popular technical disciplines were evaluated. 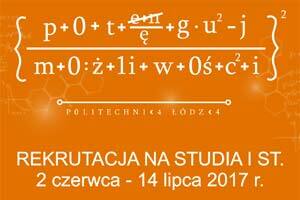 The ranking presents 311 best programs of studies conducted at 288 faculties in 26 Polish academic institutions. 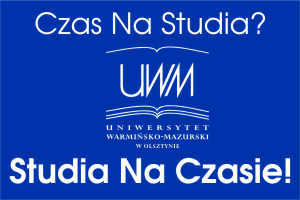 The leaders in the ranking are: Warsaw University of Technology (13 best programs), AGH University of Science and Technology (3 best programs), Wrocław Universisty of Technology (3 best programs) and the Silesian University of Technology (2 best programs). The pioneer Ranking of Engineering Studies in Poland, is addressed to high school graduates, who will soon be choosing a university and a field of study. - Providing talented young people with top-notch engineering education is in the interest of the Polish economy - says Waldemar Siwiński, President of the Perspektywy Education Foundation, the originator of the Ranking of Engineering Studies. - We want to help young people make a precise choice of studies in the area of technical disciplines considering what are the needs of the economy and what provides good prospects for employment and earnings. The ranking rules, including criteria and their weight, were prepared by the Ranking Board, working under the direction of Prof. Michał Kleiber. The Board has been composed of experts in the field of higher education and representatives of various branches of industry. INNOVATION – indicator: patents and protection rights. The following fields of study were evaluated in the first edition of the Ranking of Engineering Studies: automation and robotics * architecture and urban planning * biomedical engineering biotechnology * chemical and process engineering civil engineering * chemical technology * computer science * electronics * electrical engineering * environmental engineering * geodesy and cartography * logistics * management and production engineering * material science * mechanical engineering * mechatronics * mining and geology * technical physics * transport.